"Best thing my friends & I have done. Very lovely campsite. Clean & helpful. Absolutely fabulous." Boveys Down Farm has all your camping facilities catered for; our fully insured site offers caravan, motorhome and tent pitches with fees starting from only £12 per night. You can find all the information you may need below including our latest Price List and Online Booking Sheet. There is a small area of woodland available for tent pitches as well as a small rent-able on-site caravan affectionately known as 'Janet's Caravan' which is available for booking. Please 'Scroll Down' for more site information! For ideas on how to enjoy your holiday check out our 'Things to do' page. Views from the camp site of the beautiful Coly Valley. "What a delightful rural spot. Reminders of our own camping days with families. Cream tea was delicious never in other camp sites! 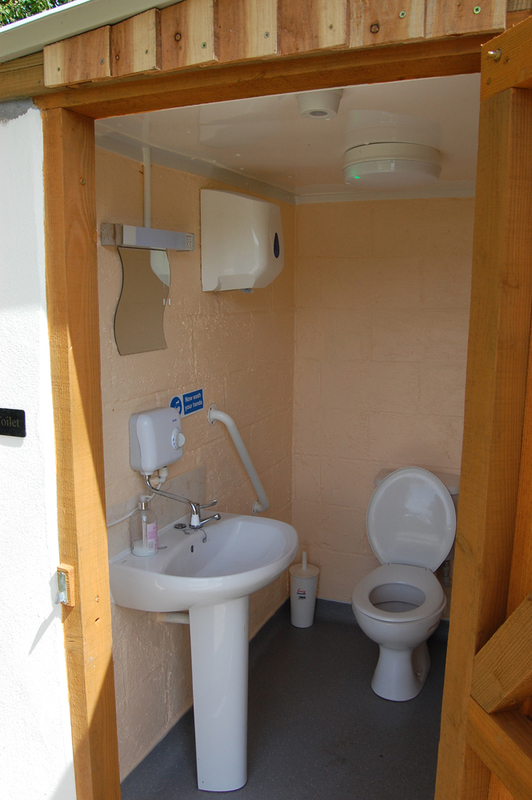 Thanks"
Boveys Down Farm has a variety of available facilities and welcomes all types of campers and caravanners. Our farm is a quiet, rural located site off the beaten track and offer a peaceful and tranquil holiday for our guests in the serenity of nature. 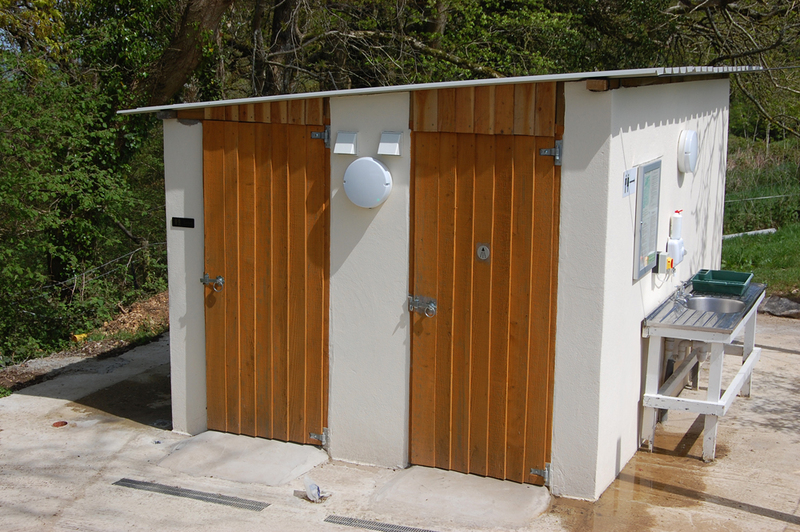 We have recently modernized, renovated and extended our toilet/shower facilities as well as revamped our electric hookups allowing more power to our tent users! 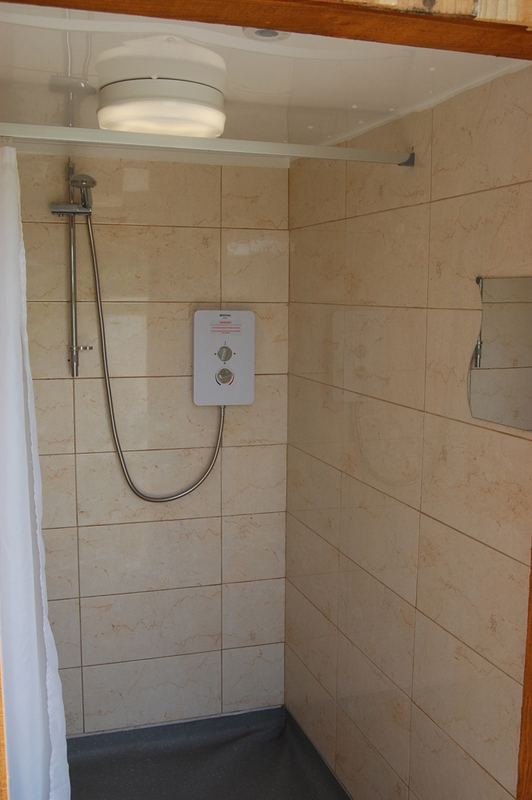 We also now offer the rental of our onsite caravan which can be bolted on to group bookings or rented independently. Below is all the information you'll need, however if you have any further questions please do not hesitate to call us. 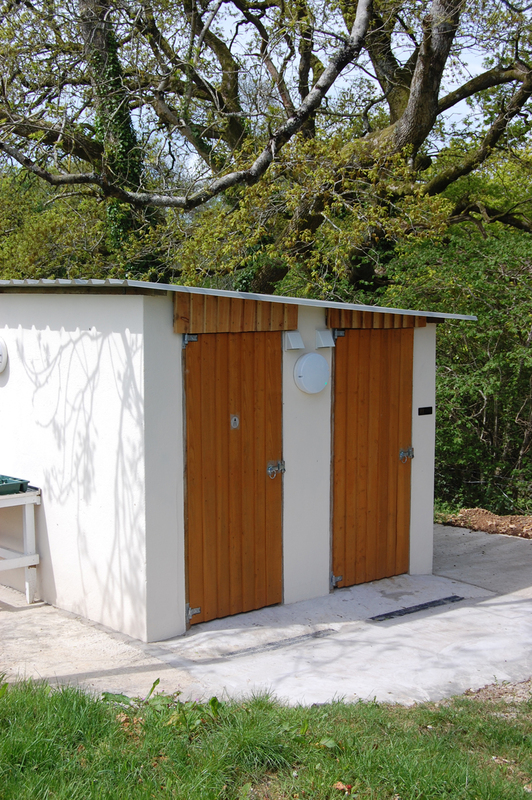 Our newly renovated toilet block now offers two newly installed modern showers/toilets and a recently fitted communal 'washing up' area. "Best pasty in the world"
Some of our 'Happy Campers'!!! 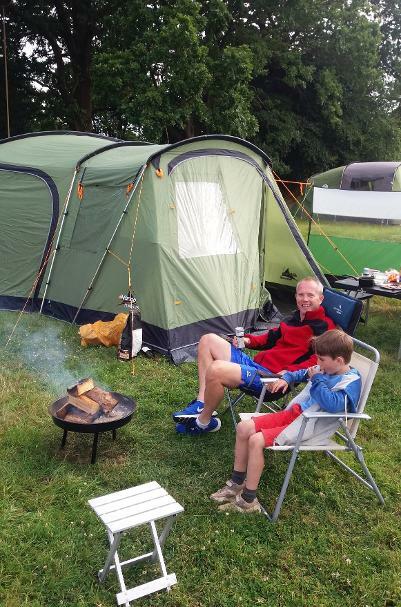 "Such a beautiful campsite with lots of character, we only planned on one evening but stayed 3!." "Wonderful welcome. Peace and quiet and beautiful views…a lovely holiday." "Simply the most inviting, beautiful, heart-warming campsite we've ever been to". 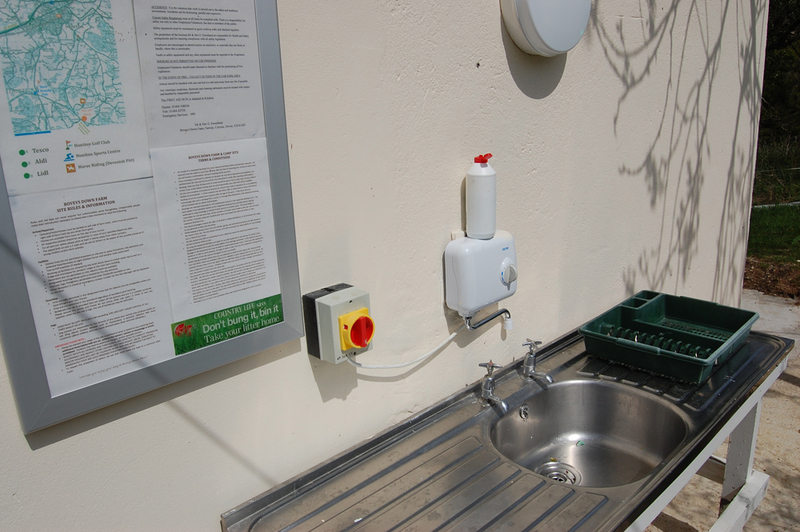 Boveys Down Farm is a popular site and although 'walk-in' campers are welcome booking is advisable. To do so, or if you have a query, please download and return our Online Enquiry From.